In most cases it is also quite time consuming, so having a consultant to guide parents (and students) and help them stay organized and punctual within the admissions process can make everything go more smoothly and relieve anxiety. Family harmony during multiple school applications is a common positive outcome of hiring an educational consultant! Parents seek an educational consultant for a number of other important reasons, as well. JS: It seems that it’s more competitive than ever to get into an independent private school. In some instances, parents even need to submit essays along with their children’s applications. Do you help parents with the application process? LD: I do. I offer what I call soup-to-nuts support. This includes everything from determining which schools are a good match, to helping parents stay organized and meet deadlines, to mock interviewing the student. I advise on every step of the process, including parent and student essays. I also do direct advocacy with the schools. It’s a bit like having an agent! I have relationships with the admissions officers at a large number of schools in the Boston area and New England, and I am able to “pitch” for kids and liaison between parents and schools. Some parents worry that schools might look down on a family that hires a consultant, but the opposite is true. Because consultants are good at directing well-matched students to apply to the right schools, the schools enjoy working with consultants. And for parents, sometimes the emotional support is as highly valued as everything else I do—I’ve “been there” as a parent myself, and I understand the anxiety. I’m a psychologist by training and can help parents stay calm even when navigating a stressful process! JS: As someone who was formerly in admissions at a private school, do you hold the secret to getting into the right school? LD: Ah, the Secret Sauce. You want to know what it is, heh heh! Obviously, there is nothing I know that leads to guaranteed admission to one’s first-choice school, and in fact, the contract parents sign with me says that I cannot guarantee admission! However, the odds of admission do increase for parents who use experienced consultants. This is partly due to the relationship consultants have with schools, but perhaps more a result of good collaboration between parents and the consultant. Right now, about four years in with this consulting practice, 89% of my clients have gotten into their first-choice school and 11% their second-choice school. So far, none have had to settle for a school that was their third choice or below. The reason for this is important to understand. It is not because I have the Secret Sauce! It is because I am only interested in working with parents who value expertise and are able to consider my advice on which schools will be a good match for their child, both in terms of being a place where their child will thrive, and also being a school where their child stands a reasonable chance of gaining admission in a competitive process. So, if a parent comes to me with a copy of US News & World Report tucked under his or her arm, saying, “Here’s the list of this year's Top Ten schools, and I want one of those,” but their child is an average student, things are not going to work out. If parents are able to look at their child realistically, and work with me on a list of schools that includes some good bets, a safety, and a reach or two, then the odds are good their child will end up with at least one desired acceptance letter in March. JS: How do you help parents with a child who is bright, yet has a diagnosed learning disability such as ADHD or dyslexia? LD: Each year I work with some parents who have children with mild special needs such as well-managed ADHD, mild Executive Dysfunction or Dyslexia. Sometimes they need a school like the Carroll School or the Landmark School, but often they can apply successfully to mainstream schools. As long as parents are realistic about who their children are, I can help. We would look at options where support is provided and where the attitude of the school is welcoming. The most difficult placements involve children who are on the autism spectrum or have behavioral problems. The independent schools I work with are more wary about admitting kids who will require a lot from teachers or will upset other tuition-paying parents. It is a sad truth. I am up-front with parents about this, and they make an informed decision about whether they want to hire me, understanding that I can help them, but that it will be a more difficult endeavor than it is for children with difficulties that do not involve significant social or behavioral deficits. I can also refer parents to other consultants who specialize in school placements for children with challenging behaviors. JS: What are some common questions or concerns that parents have about special education services in public and private schools? LD: There are lots. Many parents are pleasantly surprised to learn that students in private schools do not have to take the state-mandated standardized testing, like MCAS here in Massachusetts. Parents of children with special needs are especially keen to release their children from this testing, and they do not have to opt out in private school, because none of the students take those tests. Students with IEP’s or 504 plans are part of a very structured legal support system in public schools that they will not have in private schools. Private schools do not have to follow the same legal guidelines public schools do. They provide as much or as little support as they choose. In some cases, kids are better off staying in public schools, even though parents may be dissatisfied in some way and looking to get them out. I can review a student’s neuropsychological testing, report cards and so forth to help parents decide whether it makes sense to pursue applying to private schools. If it seems best for a child to stay in public school and receive better support, or to apply to non-mainstream private schools, I can refer the parents to other consultants or legal advocates, such as those at the Goldberg Center in Braintree, MA, to help them resolve special ed concerns within the public school or seek private options. JS: Do you have any books, websites, or other resources that you like to recommend to parents? LD: There are so many resources out there, and it can get very confusing for parents. Obviously, if your child has autism or dyslexia or some other specific learning or developmental disability, you will have many books to choose from that address your child’s particular issues. For example, if your child has SPD (Sensory Processing Disorder) I recommend The Out-of-Sync Child. But the books I find myself recommending most often are Wendy Mogel’s books: The Blessing of a Skinned Knee and The Blessing of a B Minus. This is because I find that a lot of my clients really struggle with helicoptering and overprotecting their children in ways that prevent them from developing resilience. I also recommend all of Ellen Braaten’s books, especially Straight Talk About Psychological Testing for Kids. For parents looking for a really helpful resource online, there is a great new site called MyEdGPS. It is an online platform for parents of children with a variety of special or exceptional needs. Parents can receive guidance on developing more effective collaboration with school personnel, help with understanding complex processes and federal or state regulations, and suggestions for professionals or schools in their local area. Lori Day has an M.Ed. and an Ed.S. in School Psychology from The College of William & Mary. 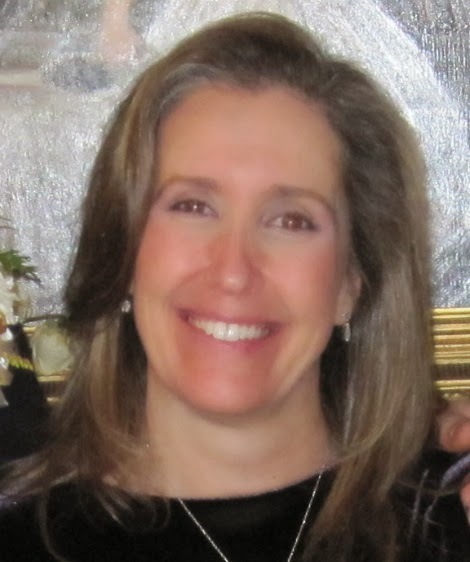 Prior to opening her consulting business, Lori started her career as a school psychologist, and moved on to roles in undergraduate admissions at MIT and then at the Fenn School. She also served as Head of School at Odyssey Day School in Wakefield, MA. Email her at lday@loridayconsulting.com.